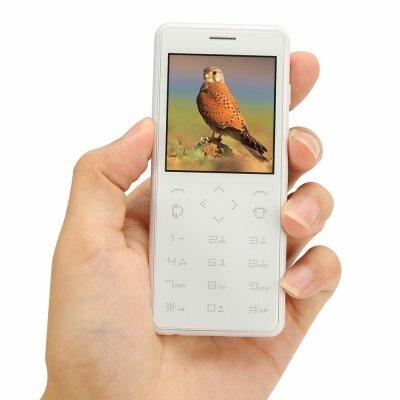 Successfully Added Quad Band GSM Phone - 2.36 Inch Touch Screen, 0.3 MP Rear Camera, Bluetooth 2.0, FM Radio, 800mAh Battery (White) to your Shopping Cart. Simplicity at its best - this miniature quad band GSM phone comes with basic functionality, a compact and sleek design and convenient touch buttons. This mini phone can be a great primary or secondary phone, offering all the functionality you need in a simple and compact design with a nice convenient touch screen. The GSM phone comes with a 2.36 inch screen – big enough for you to work with messages and other text content. With Bluetooth 2.0, you will have great connectivity with other devices and easy data exchange. The MTK6260A processor will back up all the needed functionality and ensures a smooth performance with no lagging. The phone comes with an FM radio - a quick and easy source of entertainment on the go. With 8 GB of internal memory, you will have enough space to store all your needed content. The 800mAh battery offers up to 6 hours of continuous talk time + 60 hours on standby. With a 0.3MP rear camera, you will always be ready to make a few quick snapshots or videos on the go. This mini GSM phone is a great option for those who value simplicity and practicality, are looking for a secondary phone or prioritize ease of use. Coming at only a fraction of the price of a standard smartphone, this compact quad band phone is a great budget alternative. The Quad Band GSM Phone comes with a 12 months warranty. Brought to you by the leader in electronic devices as well as wholesale GSM phones..